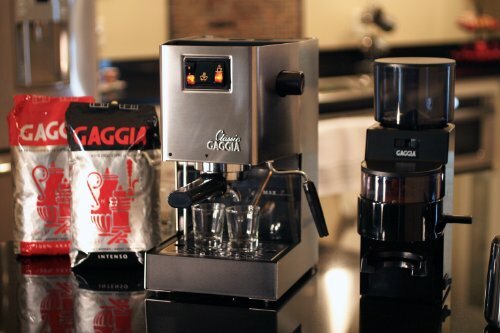 Gaggia is a well-known Italian manufacturer of both manual and super-automatic espresso and cappuccino machines. 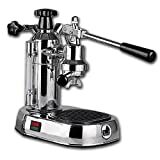 Their products are also well-known for being of good quality and with 235 verified five star ratings the Gaggia Classic espresso machine is a prime example. 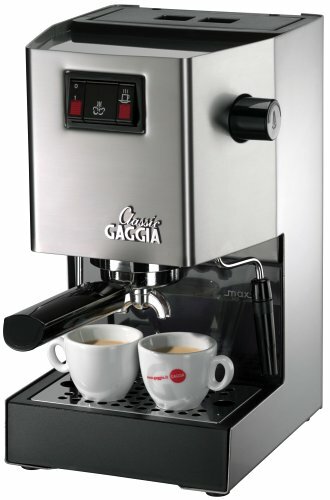 One of the best in said product line is the Gaggia 14101 classic espresso machine and for all the right reasons, too. The Gaggia Classic, which we shall refer to simply as Gaggia for convenience’s sake, is rated in the top three on our best pump espresso machine for home and has the following features and technical specifications. 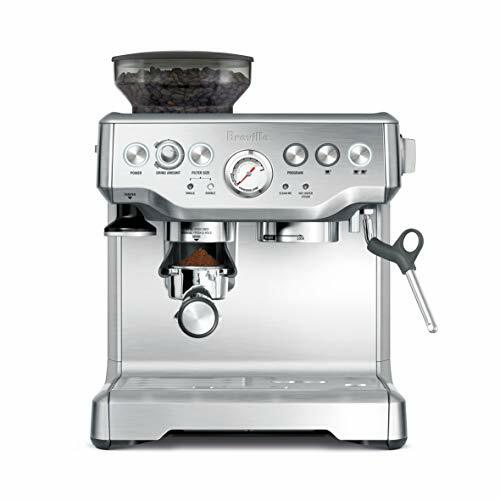 This Gaggia Classic espresso machine has a brushed stainless steel body in silver. I almost wish there were other fun colors, but the excellent performance of the Gaggia is the most important consideration so we can overlook this minor flaw. 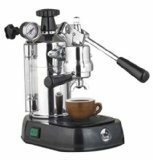 Plus, I really like the robust build and the sturdy look of the espresso maker so, colorful or not, it works in any kitchen or cafe. Before we discuss the espresso performance of the Gaggia Classic espresso machine, we must first discuss the four essential aspects of making a great cup of espresso. First, the water temperature must be just below the boiling point, which experts say is approximately 190 Fahrenheit. Second, the pressure exerted on the coffee beans must be up to 200 psi. This translates to 15 bars. Third, the best ratio of coffee beans-to-espresso cup is 7-1. This is where the accuracy of the scoop comes into play. Fourth, the time for the water to flow through the coffee grounds must be just right. Most coffee connoisseurs agree that 25 seconds is sufficient for the purpose. Take note that this last aspect of making great espresso relies on your own skill as a barista while the first three are the work of the Gaggia Classic espresso machine. If just one of the abovementioned aspects is missing, you will end up with an inferior cup of espresso. So, does the Gaggia Classic espresso machine perform up to par with the first three aspects of making espresso? I have to give it a resounding “Yes”! Obviously, you must operate the Gaggia in the proper manner to actually enjoy the benefits of great espresso coming from its spout. Read the instruction manual first before actual operation just to reduce possible hassles. Keep in mind that this Gaggia Classic espresso machine does not have a built-in grinder and tamper. 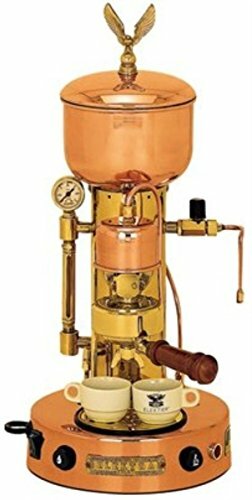 You should purchase a grinder for the coffee beans, said grinder costing at least $300. 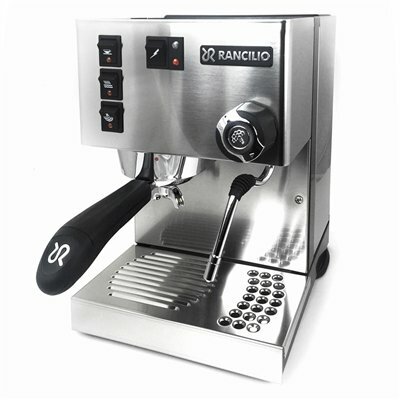 Something like Rancilio’s Rocky Coffee Grinder would be perfect. 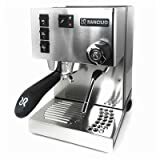 As without the proper equipment, even the best and most expensive espresso machines will fail, so it’s a good investment where classic espresso machines are concerned. Take note that the secret to a great espresso is the quality of the coffee grounds. You must experiment with the fineness/coarseness of your coffee. And you must learn the art of tamping the coffee grounds properly before you can hit the jackpot, so to speak. Tamping too much or too little on the coffee grounds will deliver inferior results, even when the coffee grounds are already perfect. As for the milk frother, the latest Gaggia Classic have the new Pannarello steam wand that’s designed to make great froth much easier to achieve. I found that it produces nice froth for cappuccinos and lattes. Of course, you may have to exercise your barista skills to achieve the perfect foamed milk! Cleaning this Gaggia Classic espresso machine is easy as well, although a few customers think that it can be just a bit complicated, no thanks to the various parts. The removable parts can be washed in the dishwasher while the body itself can be wiped with a damp, clean and soft cloth. Descaling is done every 2 months. The overall impression from reading the consumer reviews of the Gaggia Classic espresso machine is that it is an excellent machine. You just have to get around the idea of manually grinding and tamping the coffee grounds instead of just placing a coffee pod into the right slot. But then it can’t be known as a ‘Classic Espresso Machine’ unless your Barista skills are called upon! 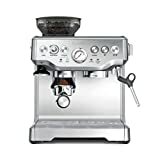 To date this machine has received 400 verified five star ratings on Amazon and averages 4 stars overall from a total of 536 Gaggia Classic Espresso Machine consumer reviews on Amazon. In conclusion, the 14101 Gaggia Classic espresso machine is definitely worth the price tag. Then again, why pay the full price when Amazon is offering it at a substantial discount?